Richt here we go wi the Battle o Bothwell Brig but it’ll need tae be in twa pairts fur it’s ower complicated. Robert Hamilton the Covenanting army commander. His richt title is Sir Robert Hamilton o Preston an Fingalton. Luks a richt tube. Is a richt tube. In ither words a richt waste o space. Ye can mibbe guess whit comes nixt. 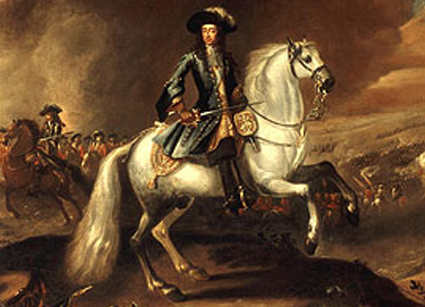 Duke o Monmouth is sent by King Charles tae sort oot the rebels. A grand gentleman an nae fool when it comes tae military strategy. An of course thur’s Claverhoose an Jamie Ogilvie, the grand Earl o Airlie, a richt auld rat bag. John Steel is ma main character. A farmer an nae lukin vera happy as weel he micht fur the battle line up disna luk vera promisin. Aw that’s stoppin Monmouth’s army is the bridge across the Clyde bein protected by an auld canon brocht frae Douglas Castle. Ane wee canon against a hale battle hardened, weel trained army. Haurly bears thinkin aboot. The Covenant banner flutters bravely in the early mornin sun on 22nd June 1679. 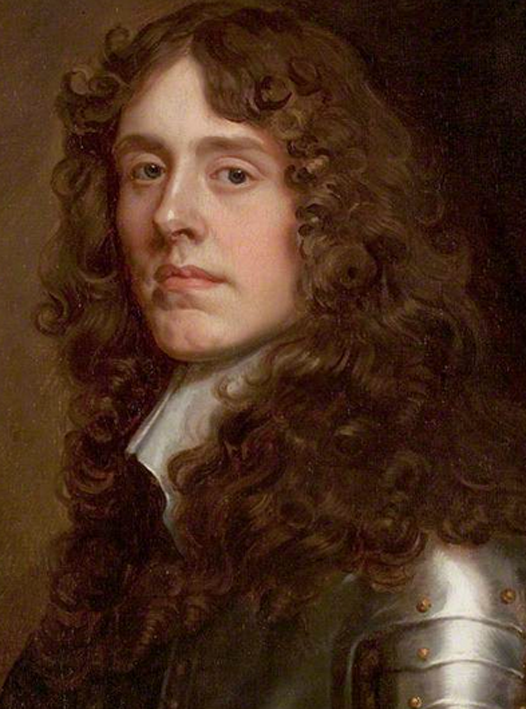 Duke o Monmouth, the royalist leader, decides tae gie the rebels a chance tae negotiate. Robert Hamilton, the so cawed covenantin leader, refuses tae even speak. Aifter that thur’s nae way back. Men are on the brig wi ane cannon. The brig is high an narra an fur a while they haud thur ain against the royalist hordes. Meanwhile Robert Hamilton jist sits on his horse at the edge o Hamilton Palace wood withoot sayin anither word. Nae orders, nae strategy, nae supplies o gunpooder fur the muskets, nae nuthin but ill trained men wi swords an pikes. Within an hoor the wee cannon runs oot an splutters tae a halt. Nae further supplies are forthcomin. Only swords an the brute force o a wheen brave men hauds Monmouth’s trained men an cavalry back a while langer. As the rebel fighters grow tired thur forced back across the brig an the royalists hae the upper haund. Within meenits 15000 o them swarm across the brig towards 4000 uncertain covenantin rebels waiitn on the river bank. Nae quarter will be gien. In nae time thoosands are deid, or wounded, or captured, or fleein. Whit ye caw a route. Revenge taks ower. The wounded an the captured will wish they wur deid when whit’s aheid comes tae pass. 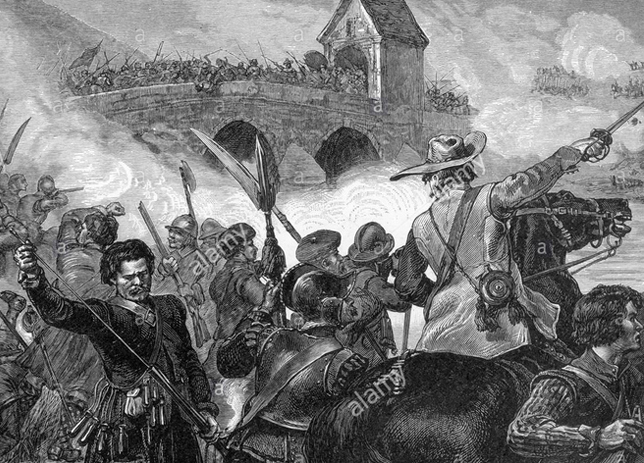 In ‘Changed Times’ John Steel fights bravely durin aw this but at the hinner end he sees hoo hopeless it is an wisely decides tae turn an retreat afore it’s ower late. 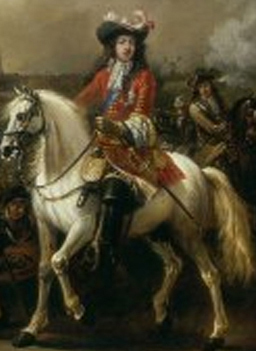 Jist then the great earl o Airlie, Jamie Ogilvie, ane o the royalist cavalry leaders, spies him, sees John’s fine horse an thinks ah’ll hae this. He has a go. John an him clash …. Airlie gits the worse o it …. John escapes. Ye’ll git the details in the book. This is whit ye caw a definin meenit in John’s life. In the nixt book ‘Dark Times’ ye’ll discover jist hoo definin. The consequences are far frae pleasant, an nae jist fur John. His wife, weans, onybudy whae kens him are fur it….. But ye’ll need tae wait a wee while fur that bit. Finally the modern memorial tae the occasion. Folk drive by constantly nivver gien a second thocht tae whit happened here on the banks o the Clyde in 1679 an yit it still reverberates doon tae this vera day.